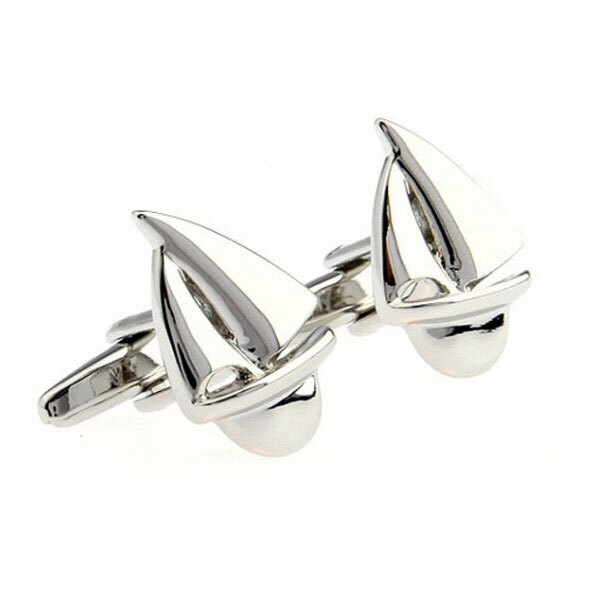 Nautical Themed Cufflinks are the focus of this novelty cufflink category. We have ship, anchors and even submarine cufflinks. There is bound to be the perfect cufflink for whoever you are buying for. If they have a love of everything nautical, them we have a cufflink for them. Our cufflinks are made from die cast brass metal. They are then covered in a rhodium plate or hard wearing enamel coating. These two finishes, as a result, give the links a durable, long lasting finish that lasts the test of time. The Cufflink Club prides itself on providing quality products along side great customer service. Besides these two factors, we also provide swift, quick delivery. The next day delivery option makes sure your order is received as fast as possible.